Lifelong Learning at North Shore Senior Center offers you an abundance of opportunities in our classes and activities! Learn about your world in our many educational courses. Enrich your lifestyle as you explore new places on daytrips and develop new skills. Connect with people who share your interests in our many peer-led groups. Explore our full listing of classes by clicking "All Classes" under the Browse menu above. Or, view a PDF of our catalog by click on the image of our catalog at right. 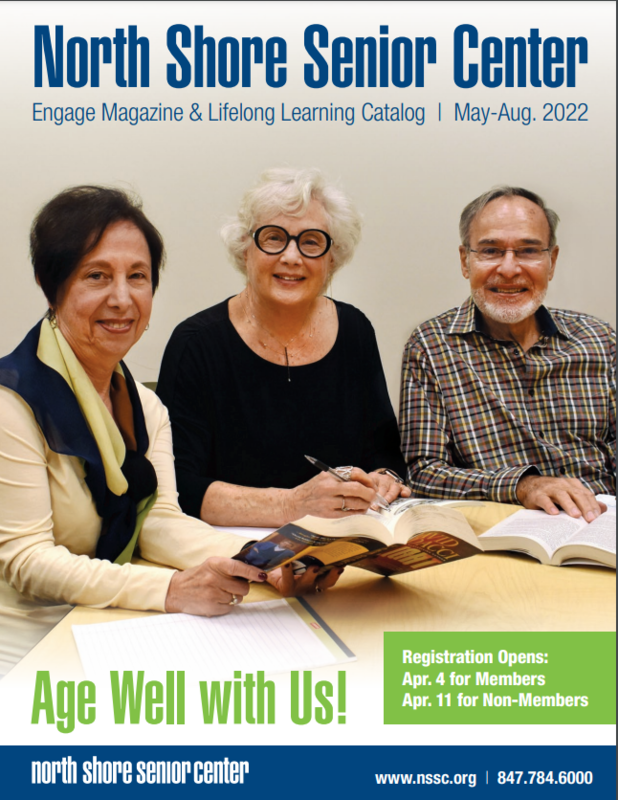 For more information on our classes and activities, or on using this website, please contact Lifelong Learning at 847.784.6030 or LifelongLearning@nssc.org.